I am very happy that Cultural Flotsam has been included in the 2017 Festival Silencio! Festival Silêncio is the celebration of word. Word as a creative unit and the vehicle of both thought and artistic creation is the engine behind this project. Festival Silêncio will take place in 2017 between the 28th of September and October 1st at Cais do Sodré, Lisbon. “This is not a movie. It’s a poem.” is a poetry film showcase organized within the Festival Silêncio that includes a national and an international competition. The films in competition will be the manifestation of audiovisual poetical language which will be using cinematographic narrative to state itself as a message. 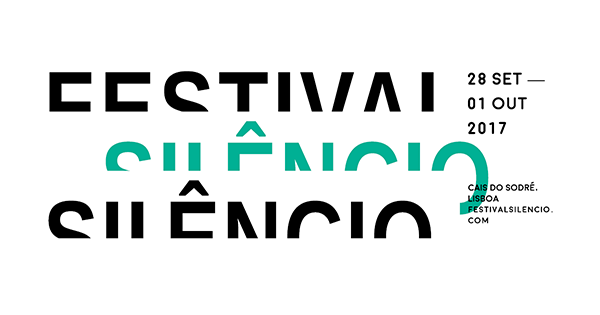 O Festival Silêncio é um festival transdisciplinar e participativo que celebra a palavra como veículo de conhecimento e como unidade de criação. Durante quatro dias, a palavra instala-se no bairro do Cais do Sodré, num programa que percorre diferentes géneros e linguagens, através de um diálogo constante entre música, performance, conferências e conversas, cinema, exposições, literatura, intervenções e oficinas. Originally from Halifax, Nova Scotia, pluri-­disciplinary artist and writer Valerie LeBlanc has worked in Canada, the United States, Europe, and Australia. Her creations travel between poetry, performance, visual and written theory. Valerie LeBlanc has been creating video poetry since the mid 1980’s, and is the creator of the MediaPackBoard (MPB), portable screening / performance device. L’artiste pluridisciplinaire Valerie LeBlanc est vidéaste, poète, performeuse et essayiste. Son travail oscille entre le remarquable et le quotidien. Elle a exposé ses œuvres en Europe, en Australie et au Brésil. Elle crée des vidéopoèmes depuis le milieu des années 1980 et a inventé le MediaPackBoard (MPB), un appareil de projection mobile pour la performance.